Ever since the last of the brackish water slithered out of the Canarsie Tunnel in the aftermath of 2012’s Superstorm Sandy, New Yorkers have been bracing for the pain. Public transit officials have long warned that the water damage to the 94-year-old tunnel, full of just-as-old subway equipment, would eventually require a long, painful, deeply inconvenient rehabilitation. That’s the tunnel that runs under the East River, carrying many of the L subway train’s 400,000 daily riders from popular Brooklyn neighborhoods like Williamsburg and Bushwick into Manhattan. The surgery was scheduled for April 2019, when the stretch of L train that takes New Yorkers across Manhattan and into Brooklyn was scheduled to shut down for a 15-month repair job. Ahead of what they officially deemed the “L-pocalypse,” local officials created piles of plans to ramp up bus service, encourage biking, and run new ferry routes, and everything else they could think of to keep all those commuters from taking to cars and making already bad traffic fully catastrophic. Those plans (as well as wilder ones proposed by concerned citizens) became a lot less necessary Thursday morning, when Governor Andrew Cuomo called a surprise press conference to proclaim that no, the L train won’t close completely, and yes, it will still be fixed for the future. Curious politics are clearly at work here, but New Yorkers are unlikely to care, as long as the subway keeps running. And if it does, it’ll be thanks to two bits of subway engineering infrastructure: benchwalls and cable racking. Let’s start with benchwalls. If the train stopped in the tunnel and you had to get out, these are the stretches of concrete, running along each wall and resembling big benches, that you’d be walking on. Facilitating emergency exits is one of their main functions—without them, you’d have to jump out of the train, onto the ground and risk hitting the third rail. Benchwalls also hold most of the goodies that make the subway work, including the power and communications cables. When workers were building the line, which started service in 1924, putting the cables in the concrete was the best way to protect them from things like hungry rats and water damage. Replacing these things involves jackhammering away concrete, removing the rubble, replacing the cabling inside, setting new concrete, and having it dry. It’s work you can’t do overnight or on weekends, because any one section takes several days. And you can’t run trains without leaving a walkway to lead people to safety in an emergency. The new plan involves giving those benchwalls a bit of a demotion. They’ll still be used for emergency egress, but they won’t hold the cables anymore. Instead, the L train will use a “cable racking” system, in which new power and comms lines will be strung up and attached to the sides of the tunnel, above the benchwalls. Turns out, their protective jacketing has advanced since the Prohibition Era. “We’ve had tremendous progress in materials,” says Peter Kinget, a Cornell electrical engineer who served on the panel. , If the jacketing catches fire, it doesn’t produce noxious fumes. It’s impervious to vermin and H2O, obviating the need for the concrete armor. The workers will also shore up the sections of benchwall that are crumbling with fiber reinforced polymer, Cuomo says, leaving the old, inactive cables entombed inside. That decoupling of the benchwall’s duties is a big deal, because it makes the work much easier to execute. You can cut back service at night and on weekends (by running trains in just one of the tunnel’s twin tubes) and have workers slip underground, setting up the racks and new cables segment by segment. During normal hours, the train operates as it usually does, pulling power from the cables already in the benchwalls. Once the work is done, the MTA will switch the trains over to the new set of cords. Cable racking has been used for new metro lines in London, Hong Kong, and the Saudi capital of Riyadh, Cuomo says. This would be its first use in the US, and the first time it’s been used to fix up an existing line. Which brings up the unanswered question of why this idea is just surfacing now. 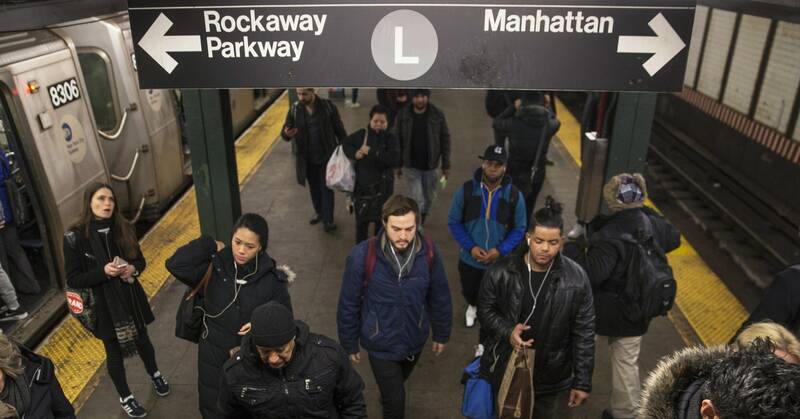 Why not before the MTA decided on the full shutdown, then spent two years preparing for it? It makes Cuomo the politician who averted the traffic-spewing L-pocalypse—but it also makes one wonder why he didn’t come to the rescue earlier. (He’s been governor of New York since 2011.) In his press conference, he presented this as new solution, which is true if you compare it to the techniques used to build the subway in the previous century, but not if you take a slightly narrower view. “It’s not new technology that’s only now become available,” Cunningham says. In infrastructure as well as in dental surgery, you’ve got to accept some drilling and discomfort. But less is definitely more.